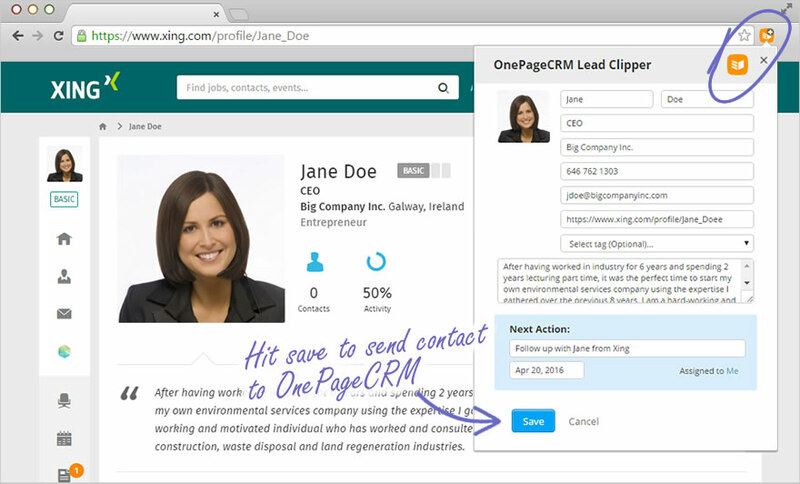 The latest update to the OnePageCRM Chrome Lead Clipper allows you to quickly capture a new lead’s profile information from XING in just-one-click. 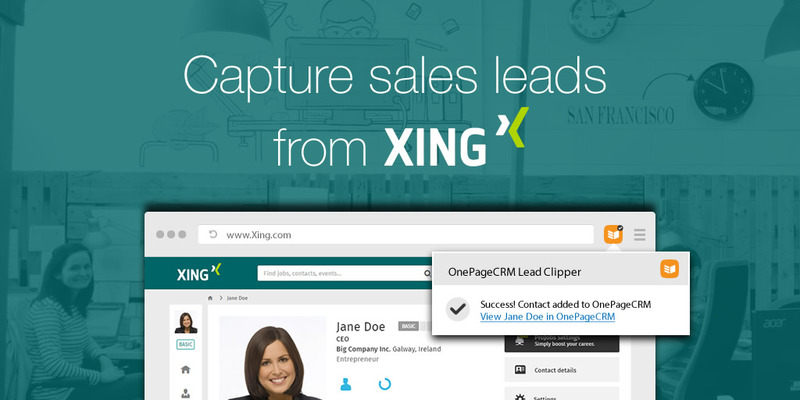 Use our lead clipper to pull a lead’s profile information straight from their LinkedIn, Twitter, Facebook and XING profiles as well as directly from your Gmail and Outlook.com (Hotmail and Office 365) mailbox. Streamline your online lead generation by downloading our Chrome Lead Clipper from the chrome web store. If you have any questions or feedback on this update – comment below or email me at brianm@onepagecrm.com.